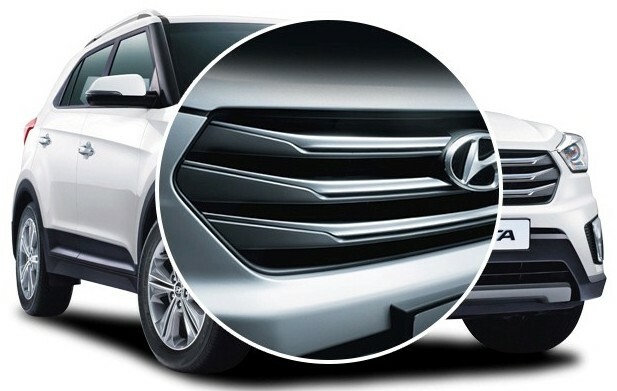 The Hyundai Creta – most handsome looking Monocoque SUV recently received a mid-life update. 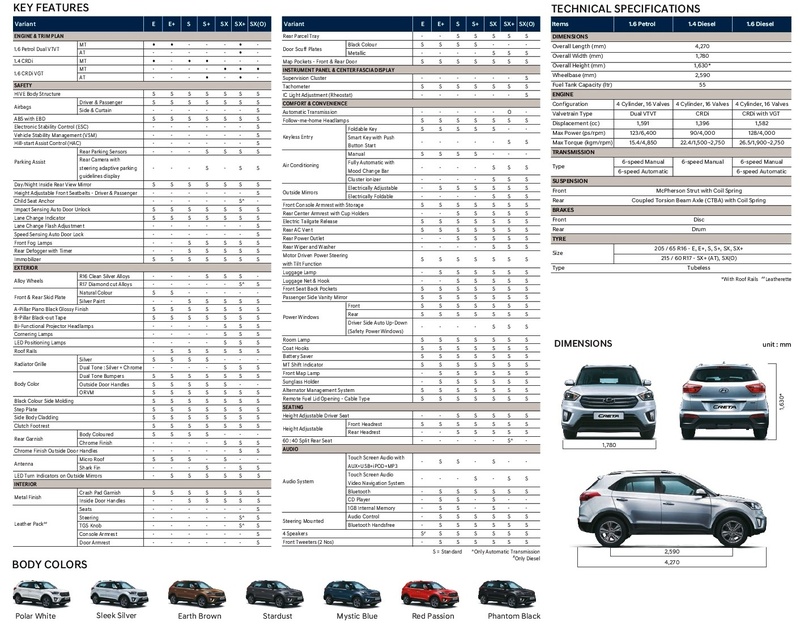 The Hyundai Creta Facelift receives cosmetic changes only while the mechanicals is unchanged from before. 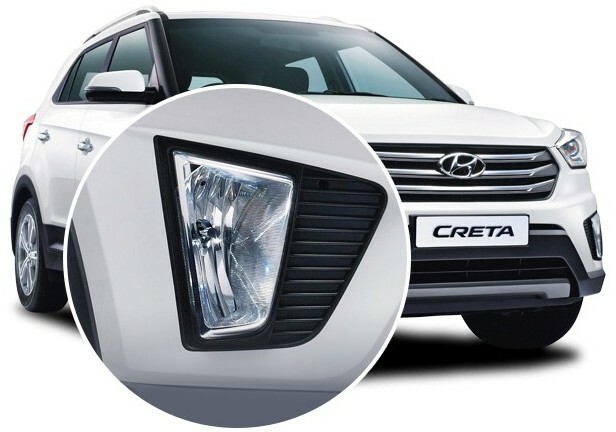 The Most Prominent Change to the Exterior of the Creta is the New and Big Cascading Grille dominating the front which has become a classic Hyundai Norm on all its cars. After that you will notice, there are the new headlamps. Although, they might not look new Hyundai has changed the detailing. The headlamp does not include the DRLs anymore. DRLs now have been moved down and looks well embedded in the C-Shape with the new small fog lamps. In the top variant, you will get the All-New Diamond Cut 17-inch Alloy Wheels, the other versions get the 16-Inch wheels. Roof Rails, Shark Fin Antennas, Front and Rear skid plates also add to the Muscular Character of the Creta. The Interiors are unchanged from before. 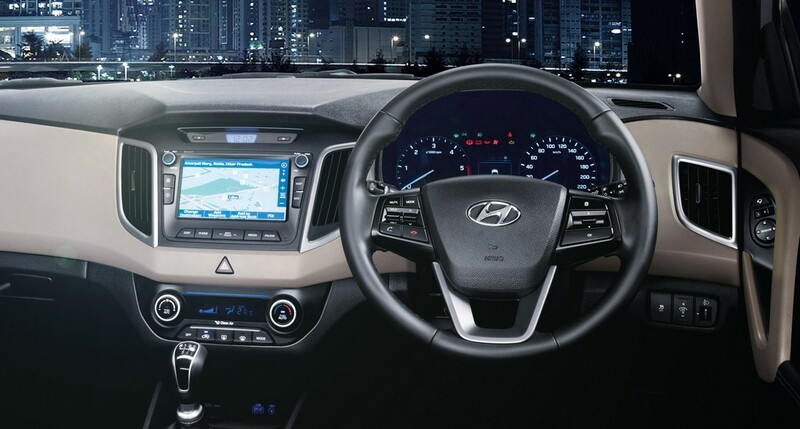 The level of fit and finish of Hyundai is well-known and Creta’s cabin is no exception to this fact. 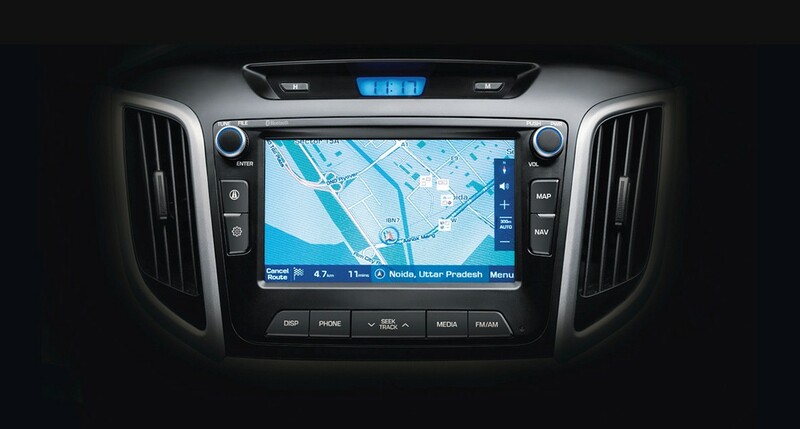 Now, Creta’s instrument cluster and touchscreen infotainment system are revised and gets upgraded software from the new Verna. 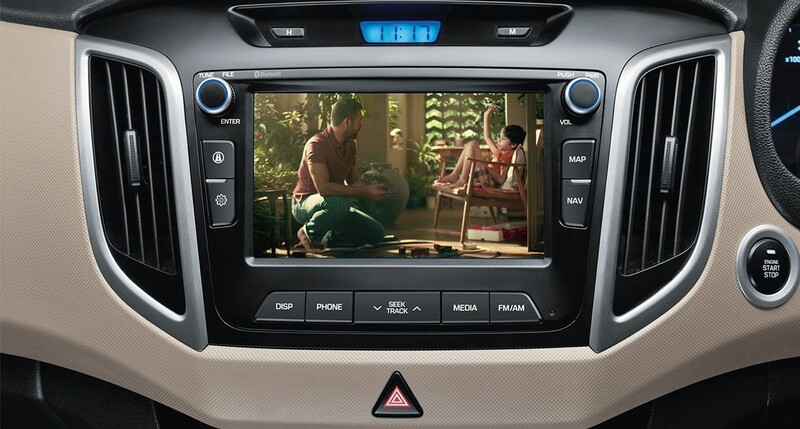 The infotainment unit is extremely user-friendly, loaded with Android Auto and Apple CarPlay, and works with perfection. At the rear, you get the Rear AC Vent like before. Legroom and Headroom are really great. 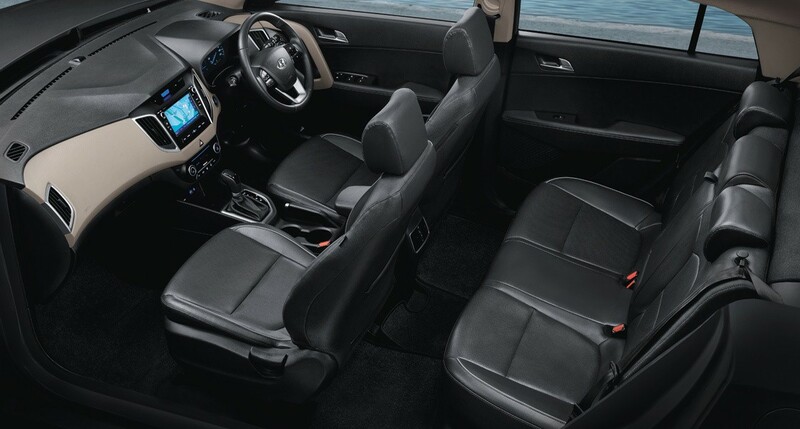 The seats are large enough to make you feel comfortable and hold you well even while driving enthusiastically. The Whole Cabin feels roomy, upmarket and nice place to be in. The Engines on offer are the same – 1.4 Diesel, 1.6 Petrol and 1.6 Diesel. The 1.4 Litre Diesel motor puts out 90PS of Power with 220Nm of Torque, 1.6 Petrol Motor putting out 123PS of Power with 151Nm of Torque while the 1.6 Diesel Motor being the most popular one, puts out 128PS of Power with 260Nm of Torque. There is an increase in the Power Band of the 1.6 Diesel Motor now. 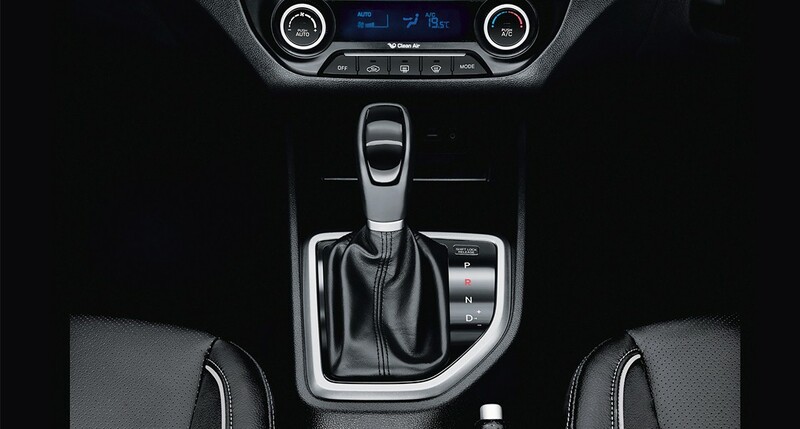 The peak power now comes at 1500 rpm and goes up to 3500 rpm that helps to make the engine a joy to drive. The Creta is offered with Manual as well as automatic transmission but automatic is not on offer in the Top SX(O) variant for the time being. Creta not only looks well but it drives well too. The Ride and Handling of the SUV are phenomenal and has a matured characteristic to it. At the Front, Discs Brakes while at the Rear, Drum Brakes does the job of stopping the car well. 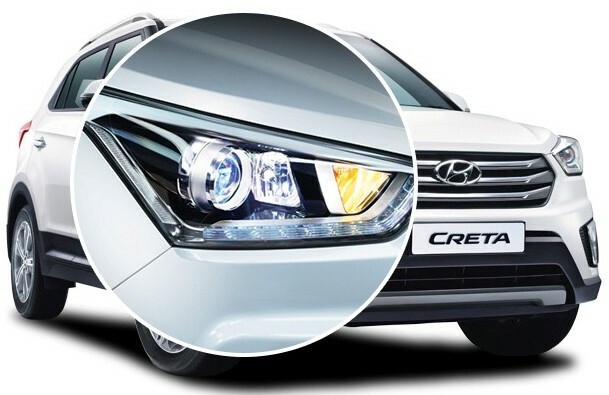 Braking of the Facelifted Creta is better than before, it feels more sure-footed. The bite from the pedal is very good. 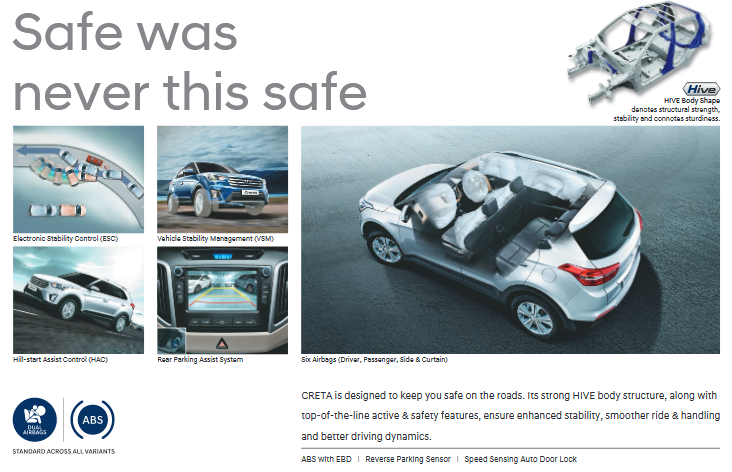 Dual airbags and ABS with EBD are offered as standard across the range of the 2018 Hyundai Creta. However, the top-spec trim gets four additional airbags, Hill Start Assist, Vehicle Stability Control and Electronic Stability Control as well. 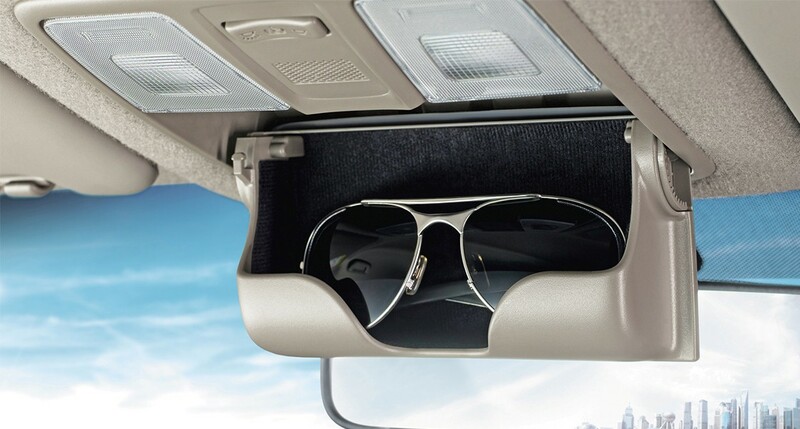 Creta gets the Electric Sunroof, 6 way-powered driver’s seat, cruise control, wireless phone charging and auto-dimming internal rear-view mirror. There’s also an additional band that lets you lock/unlock the doors without the need for the physical key. It also acts as a fitness band, counts steps and calories. 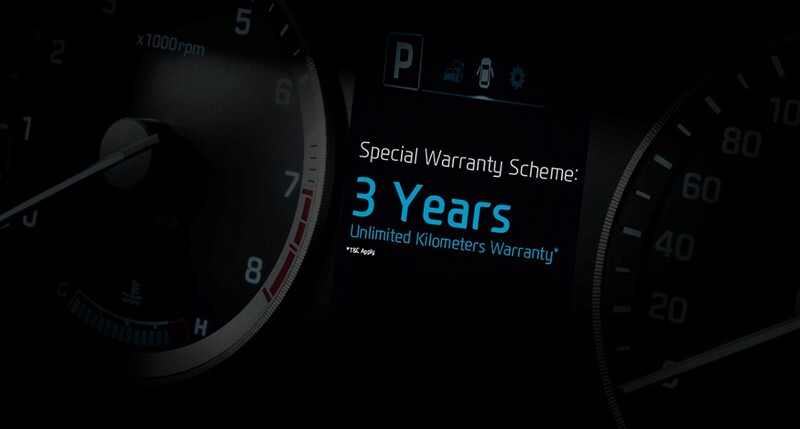 A New and Much Needed Addition is the Hyundai’s Autolink app connectivity, which allows you to monitor driving patterns, check vehicle health, get roadside assistance and make a service request. 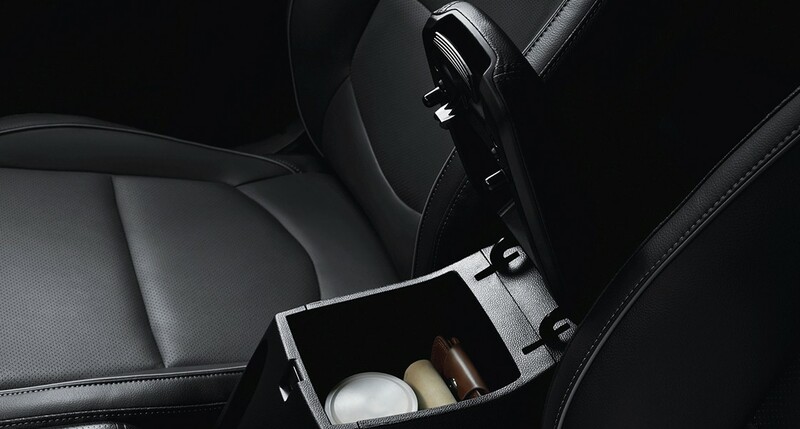 Sadly, the Verna’s Ventilated Front Seats does not make it to the Creta. Creta is a great SUV with well-laid out interiors, comfortable seating, great ride and handling and with the mid-life update has become more appealing to the customer due to the much-needed additions to the features list. It has been able to sell well in numbers before and will surely continue to sell even more now. Creta is all new fav of the Indian roads.